Before we became Christians and children of God, we had different forms of beliefs, traditions, customs and ways of life that were handed down to us by our ancestors just the same the gospel of Christ was handed down through the apostles and preserved through the preaching of the word of faith. Having received the great commission after salvation to share our faith with the world, we have a responsibility to exploit every means possible to reach the ends of the earth with the gospel of Christ, yet we have one barrier which is the different cultures of the world. This barrier must be taken down if we intend to successfully accomplish the great commission. If you carefully study the missionary journey of Paul the Apostle, you will understand that he through the wisdom of God was able to blend with almost all cultures so that he could get an audience to listen to his message (1Corinthians 9:22). You may not be able to travel far and wide or go on missionary journeys for your voice to be heard; but that is where the vision of Through People helps you. Through People Distribution helps bridge cultural barriers through our distribution strategy of each one reaching the gospel networking. Through People Distribution gives you a unique opportunity to distribute your gospel movies, books, and musicals which will not only be profitable to you, but will share your faith across cultures thereby glorifying God and bringing several millions to salvation. 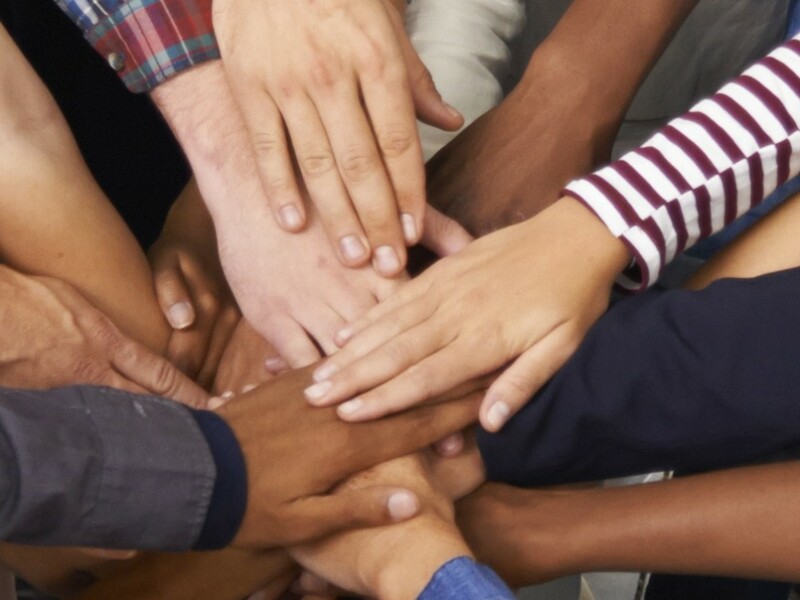 Because we believe in gospel networking, connecting our faith to different cultures is easy. Each time someone gets converted to Christ, another door of ministry is opened in his or her culture, making it easy for us to share the gospel to everyone in that culture, thereby expanding the kingdom of God and our distribution network. 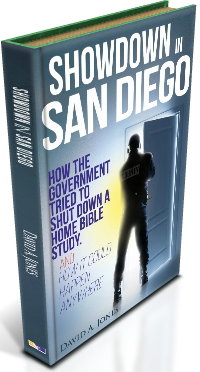 “Showdown in San Diego” is a soon-to-be-released book that chronicles the story of a San Diego pastor who was cited by the county for holding home Bible studies. Based on true events, the book highlights a growing trend in America. In today’s heightened religious climate, the right to religious assembly and freedom of speech is coming under fire from school districts taking out prayer and other such events. Christians around the world have been persecuted over millenia for their beliefs, and the trend continues to grow. In America, where religious beliefs are protected by the Constitution, Christians are being singled out with other laws. For instance, the owners of a Christian bakery in Oregon were fined $135,000 for discrimination after refusing to bake a cake for a gay wedding. Other Christian businesses are being forced by the government to provide contraception that includes birth control and abortion-inducing medications. On an individual level, people are also being singled out through loopholes in the law books. “Showdown in San Diego” is based on a 2009 incident in which Pastor David Jones and his wife received a written warning from the county that ordered them to stop the religious gathering they’d been holding in their home or apply for a major use permit. The couple was told by a code enforcement officer that they couldn’t invite people to their home for a Bible study without the permit, a designation that the County of San Diego charges tens of thousands of dollars for. Pastor Jones decided to write a book to tell the world, in particular Americans, what had happened and why he thinks it will happen again, and as demonstrated by recent event, he was right. Dean Broyles, Esq., Founder and Chief Counsel of the National Center for Law & Policy, and attorney for David and Mary Jones, believes ‘the government’s interrogation of Mary Jones and legal threats against their small home Bible study is a powerful example of how we are rapidly moving from soft persecution of Christians towards hard persecution in America’. Flooded with public complaints and accusations, the County of San Diego eventually allowed the Bible studies to continue and sent a formal apology to the Jones family. The Jones family, however, is convinced that further persecution will continue, a belief that has been recently demonstrated by Christian businesses and individuals being persecuted by way of law books. THROUGH PEOPLE Publishing and Distribution, an affiliates-based distribution company that puts artists and customers at the core of their approach, is releasing the book. THROUGH PEOPLE is proud to deliver this story to the public, a novel that aligns with the company’s mission to bring to people the books, music, movies, and art that inspire them. THROUGH PEOPLE looks forward to sharing the story of what happened in San Diego and challenging the public to take a further look at what happens today in America, to contemplate the consequences.